In 2011, halfway between the time I sold the manuscript for Bill the Boy Wonder: The Secret Co-Creator of Batman (2010) and the time the book came out (2012), someone posted a most interesting comment on my blog…under my first-ever post about Bill Finger (2008). 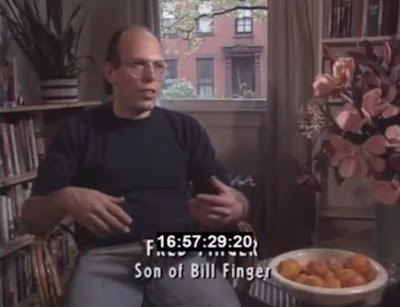 This kind soul said Fred Finger was interviewed for a TV show in the late 1980s. 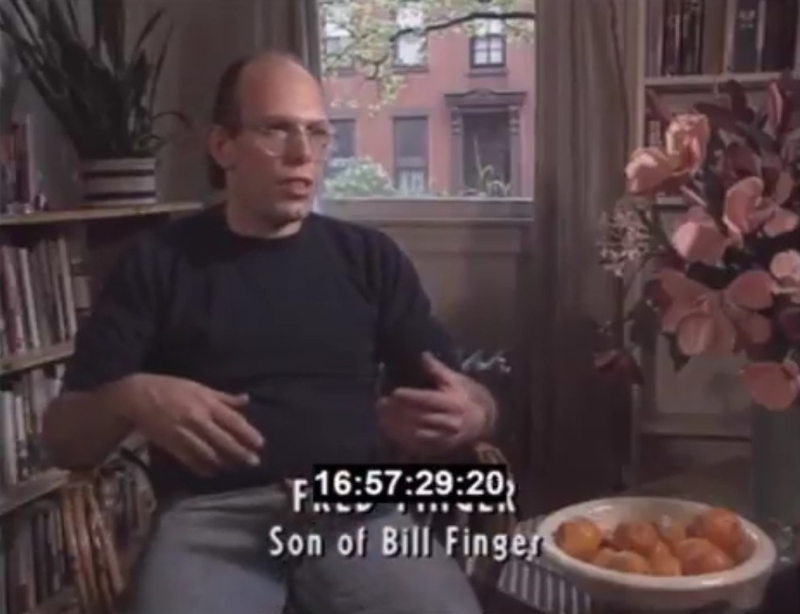 I was not trying to find Fred Finger footage because it never occurred to me that there would be any. Think of the multiple levels of luck required for this to happen. And I still don't know who he is. The clip is part of the 6/15/89 episode of a BBC show called The Late Show, which ran about 40 minutes and aired a week shy of the debut of Tim Burton's Batman. Fantastic as it was to hear Fred's voice, and as articulate as he was, nothing he said led to a change in what I'd already written. However, a clip of me first showing this clip to Fred's daughter Athena made it into Batman & Bill. Though the already short clip is seen/heard only in passing in the doc, it's one of my favorite scenes.